Below four sequential photos showing application of Fusion hair extensions on fine blond hair. 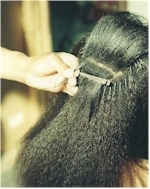 Shows pinching techniques to attach commercial hair to fine natural hair. 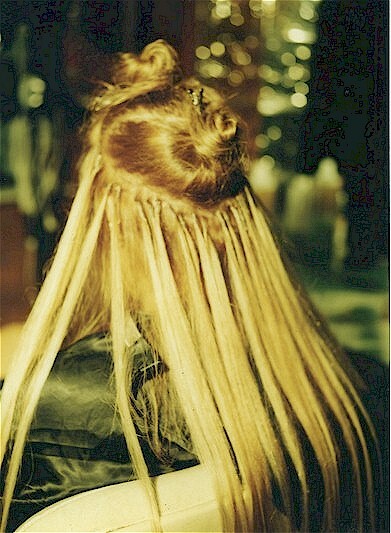 Shows individual hair extensions applied in rows. 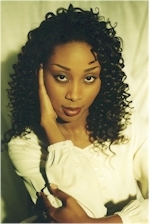 Shorter hair on top is combed down into the commercial hair that has been applied at a lower level. Finished hair style is casual and very natural. 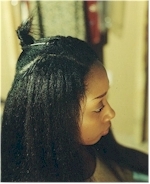 These three sequential photo showing application of Yaky hair extension using Fusion. 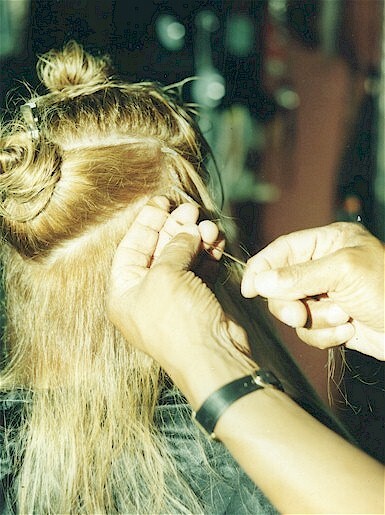 Showing pinching techniques with thumb and forefinger to attach commercial hair to natural hair. Shows the connections that stop at the point where it creates a ring around that has been applied up to the crown of the head. The hair at the top is then combed down into the commercial hair that has been applied below that point. 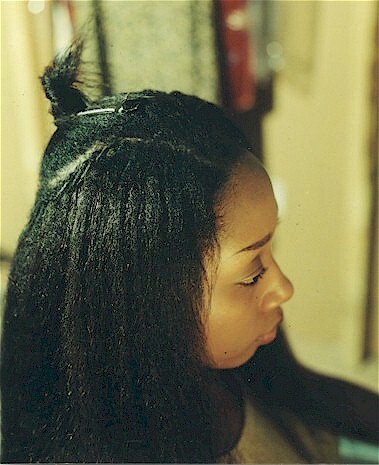 The rather rough Yaky hair was used to match the patron's natural hair and has been blown straight and curled tightly to produce the tight ringlets in the photo. This photo illustration is provided by Torain - The black Dragon, internationally acclaimed hair designer, author and teacher of cosmetology. If you'd like to know him better, click here. Torain's Fusion Kit contains much more detailed information on application of Fusion and hair design manual with step by step instruction. Buy it online, click here. Got any question? Email us your question here. 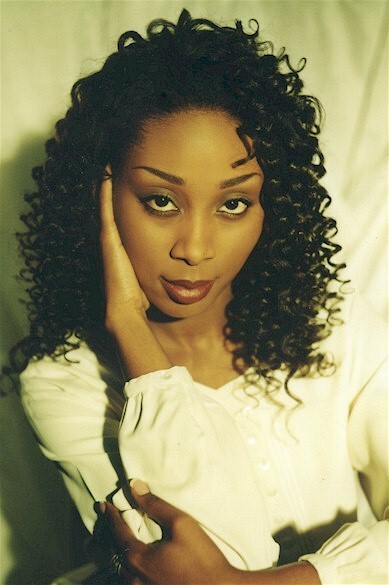 © 2000-2001, Hairz Online. All rights reserved. Privacy Statement.